How much is the Eiffel Tower tower? Nowadays the Eiffel tower measures 324m, from the ground to the top of the largest antenna. But it was not his initial size, which was only 312m, with the shaft included. Making more than 300m was a starting condition because the competition that allowed the construction of the tower required that this structure be more than 1000 feet high, ie 300m. The floors are at altitudes 56, 114 and 273m. It does not appear but when a visitor is on the 3rd floor, it is still 51m below the top of the antenna! Does the tower undergo any variation in size? Swings? Yes quite. 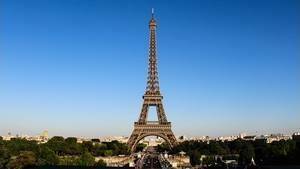 It expands and shrinks regularly due to the expansion of the metal, imperceptible on an iron beam but measurable on a structure as large as the Eiffel Tower. The distance between a day of extreme cold and heat is between 2 and 3 cm. There is no other reason than the expansion on the natural extension of the tower. As to the natural oscillation of the summit, it was measured from its construction. It is 4 to 8 cm, and was worn exceptionally to 13 cm on the day of the storm of 1999. What causes the oscillation is above all the Sun, which heats more the South face than the North the metals dilate more to the south than to the north, so the summit moves northward in the course of the day, before returning to its starting point during the night. To be exact, the oscillation curve follows that of the Sun, so during a full day it describes an oval before returning to its starting point. Is the Eiffel Tower always the same color? Not at all. The original color was yellow, but nothing remains of this amazing color. The tower is repainted every 5 years (Until it was every 7 years), and the works last approximately 18 months. But know that everyone has the right to ask that the color be different from one painting campaign to another. Indeed, on the first floor of the tower there is a suggestion box allowing you to choose the color you would like next time. Needless to ask for fushia pink, the color is not proposed, but you still have the choice between different shades of brown-chestnuts. Also know that the painters use 50 tons of paint to cover it completely. Is the tower solid? Really solid? Obviously, and even very sure. From the outset half of the joists composing the structure were used only for safety reasons, ie they could be removed without the tower collapsing. It underwent a facelift in the 1980s, but these bars that were removed were used neither as safety parts nor as structural elements, so there is no fear to have in mounting on them. If you doubt it, ask how she did to pass the years without collapsing, and that despite two world wars and countless visitors. Learn more: Calculation of the forces. When is the Eiffel Tower illuminated in the evening? The lighting of the Eiffel Tower is of course very important. It lights up every evening from nightfall during the first 10 minutes of each hour, until 2 o'clock in the morning, except in winter, when it stops at 1 o'clock. If the weather conditions are optimal, it is visible 50 kilometers away. Learn more: lighting of the Eiffel Tower. Learn more: How to visit the Eiffel Tower? How does a visit take place? If you want to go on foot, which is doable with normal physical fitness, you will climb to the 1st floor, which you will visit, then to the 2nd. You will be able to go down on foot or in elevator, there is no control of tickets for the descent. If you go in elevator know that it will take you directly to the 2nd floor, whatever you do. The tour begins here for you. Either you have tickets for the 3rd floor, and in this case you will be strongly encouraged to climb right up to the 3rd by another elevator, that is not the case and you can start the visit, leaving to go down to the ground floor if you like. Every floor is interesting, they all have things to see. The list is detailed here: To see on the Eiffel tower. What is there to see on the tower? Much more things than one might think! Each floor has different elements, more or less interesting depending on what you expect. At the top there are quite a few explanatory panels on its construction, its inauguration, the famous visitors, etc. The second floor is rather commercial, it is there that the shops are, and apart from the beautiful galleries of walk, there is no other thing to see that the structure of the tower itself, for it is from here that we see it best. Finally the 1st floor was completely redone in 2011, it presents many elements of the past, but also displays on the Eiffel Tower in history, in cinema, comparisons with other towers in the world, etc. Every floor is interesting. The list is detailed here: To see on the Eiffel tower. Is the Eiffel Tower one of the most visited sites in France? The answer is yes, no doubt. Nowadays it is the second most visited monument, behind the Louvres. In recent years the number of visitors has exceeded 7 million and is approaching more and more of 8 million. Such a craze is flattering, but it does not go without some constraints, especially waiting down the elevators. 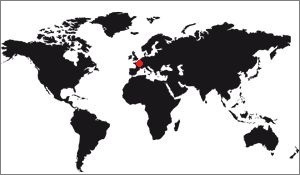 Where do the Eiffel Tower visitors come from? Learn more: Visitors kwnown of the Eiffel tower. Not really. It is so by the will of the installations, which guide you from one point to another, from the stage installations and the objects of the old days, but there is no circuit in the sense in which it is understood in other attractions of the same order, for example on the Statue of Liberty in New York, or the Tower Bridge in London. In these two cases visitors are taken in charge at the entrance and brought to the exit without being able to deviate from their circuit. On the other hand, the Tower Bridge, there are not many possible ramifications ... At the Eiffel Tower the visitor is free to come and go as he wishes, without time constraint, without obligation of circulation. And that's a real plus for the tourist. Learn more: Visit the Eiffel tower. How far is the view from the summit? The visibility at the top of the Eiffel Tower had been calculated even before its construction. It involves a rather amusing physical phenomenon which consists in allowing a vision beyond the horizon, which is due to the refraction of light in the atmosphere. This distance is supposed to be 65Kms, which is already not bad, but in practice the points of the horizon are at a shore lower than that of the Eiffel Tower, so the look goes beyond and arrives at 85 Kms maximum, depending on the direction. But the principle of atmospheric refraction "curves" the line of vision and allows a vision of ... 126 km (theoretical, because at this distance, climatic conditions must be optimal). All calculations are available below. Learn more: Visibility from the top of the Eiffel tower. The Eiffel Tower is a 19th century building. Thought in the early 1880s the project was deposited in 1884, work began on 28 January 1887 and ended on 31 March 1889, the day of the inauguration. It took only 2 years, 3 months and 3 days to complete it, which is a record for such a monument. Otherwise, the construction itself was carried out by 200 workers only, workmen working on the site. There were others at the workshops, they prepared the pieces before delivering them. 200 is the maximum number at the beginning of the work. Subsequently, this number decreased, as labor requirements were increasingly low. Learn more: Workers of the Eiffel tower. Is it true that it is built on cylinders? No, not at all, it is a legend, but like any legend there is an explanation for its existence. At the time of the construction of the Eiffel pillars, the four pillars were not perfectly aligned, it was necessary to admit a margin of error during the construction. But at 56m in height, even a gap of only a few centimeters was not acceptable. Then he had a hydraulic cylinder placed in each rafters (long beams which go from the ground to the top, at each angle of the pillars). At the end of the construction of the pillars, he could raise or lower each pillar slightly by actuating the cylinders, in order to align them perfectly and to be able to fix the heavy beams of the belt of the 1st floor. Once the manipulation made the cylinders were removed. But the legend still exists! Learn more: Construction of the pillars. How many people participated in its construction? About two hundred workers joined the 18038 pieces of iron, using two and a half million rivets. One died on the site, and again: He died on the tower on Sunday, a day not worked, to show his place of work to his fiancée. This accident, no matter how dramatic, can not be attributed to the construction of the tower, which took place without any death being therefore to be deplored.